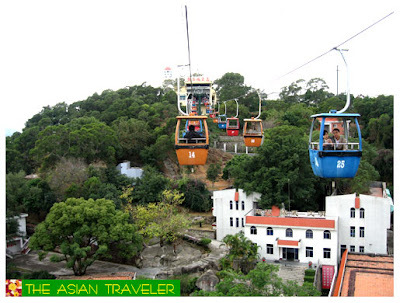 Qinyuan Garden can be reached either on foot or by taking a cable car. 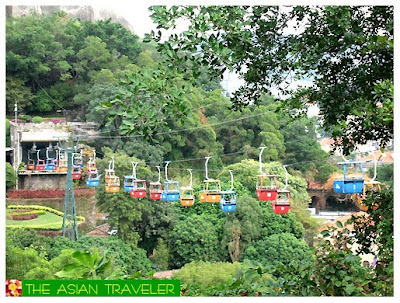 We chose to take the cable car ride for the amazing and astounding views. As soon as we soared over the island, we didn't realize that it would be a 5-minute heart-stopping thrill ride. 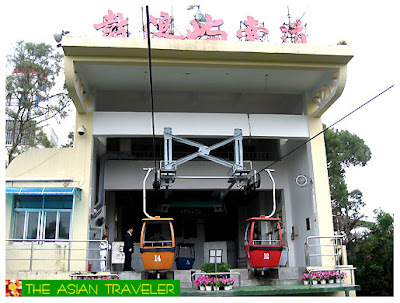 We sat in uncomfortable silence, tensed and frozen like a statue afraid that the two-seater, half-enclosed / half-open cable car would sway with our motion. Sometimes, we could even feel it was lightly swaying with the wind. Even though it was more than a little rickety-terrifying experience for us, we took time to appreciate the surroundings and still managed to take bunch of photos. 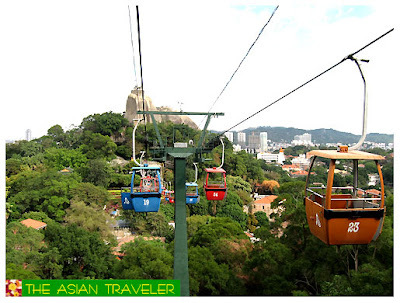 The Y60.00 admission fee to Sunlight Rock Scenic Area includes the cable car ride. 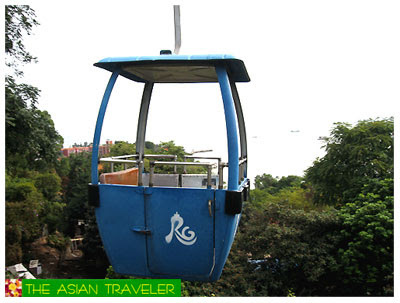 Please take note that this ride is certainly not for the faint of heart. I have my blog there, photos, travel news, and travel advice/tips. Come check it out. Maybe we can exchange links.